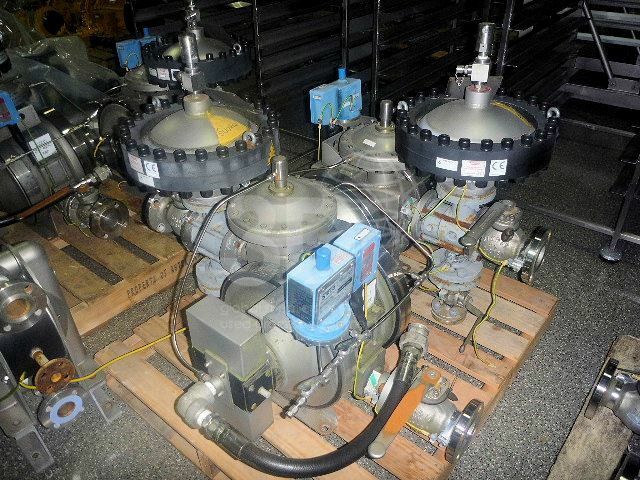 Used 544 Lpm Air Operated Double Diaphragm Pump, manufactured by Flotronic Pumps, 2003, Model 7X866ATTS150261, Serial no. 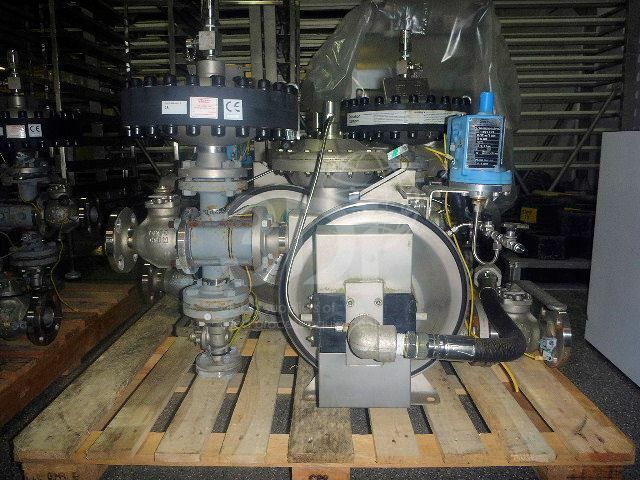 7022/03/07, connections 50mm (2″),material of construction(wetted parts): pump body and manifolds 316 stainless steel, thrust tube 316 stainless steel, diaphragms anti-static PTFE/EPDM rubber backing, divider seal/bruch anti static PTFE, balls virgin PTFE, valve seats 316 stainless steel/PTFE O-rings. Air system: 5 p[ort, anti-static PTFE, bolt on spool valve, stainless steel air inlet ball valve. 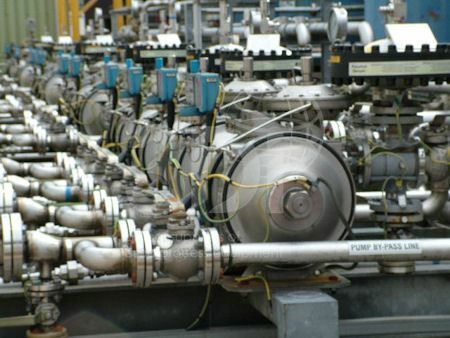 Additional features: integral pulsation damper, guardian diaphragm rupture protection system, guardian chamber pressure swith, ATEX certification. Weight 140kgs. Previous used on chemicals (Ethly Acetate).